Sorry for being M.I.A. for the past 3 weeks. That new job I was excited about was actually the job from Hell. I did it one week then quit. [I’ll talk more about that later.] For now I thought I’d post my thrifting treasures! After quitting the Hell job, I signed a lease at a salon as a booth renter. I get my own room/studio so I can paint and decorate it how I want. 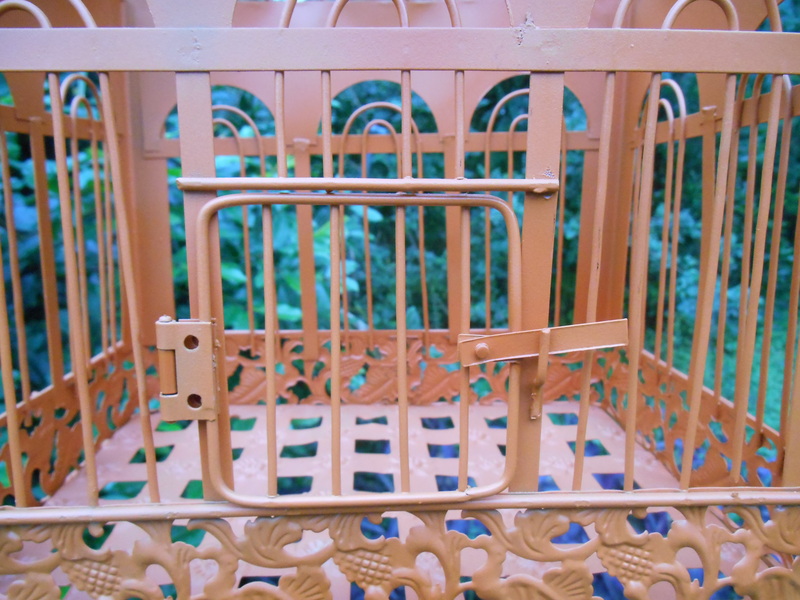 I’ve been going to thrift stores to find pictures and such to decorate my studio. 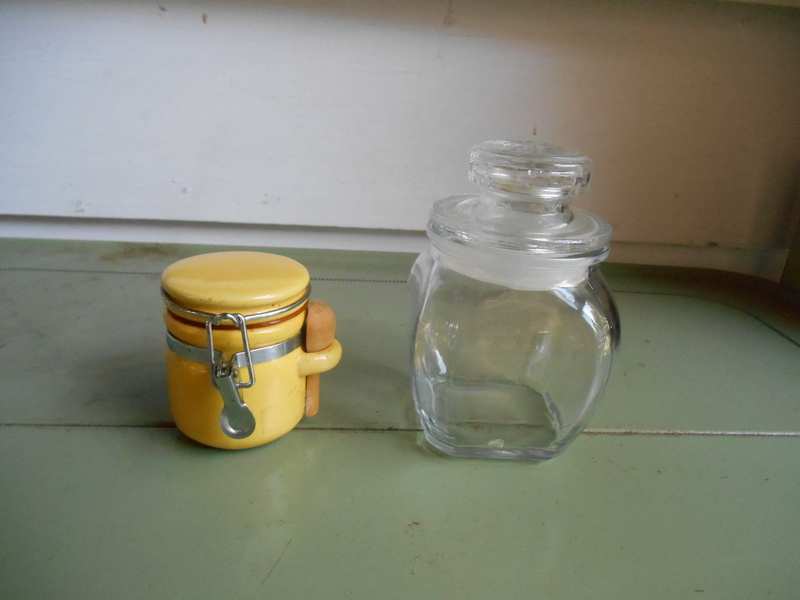 I also found some things for my kitchen and house. 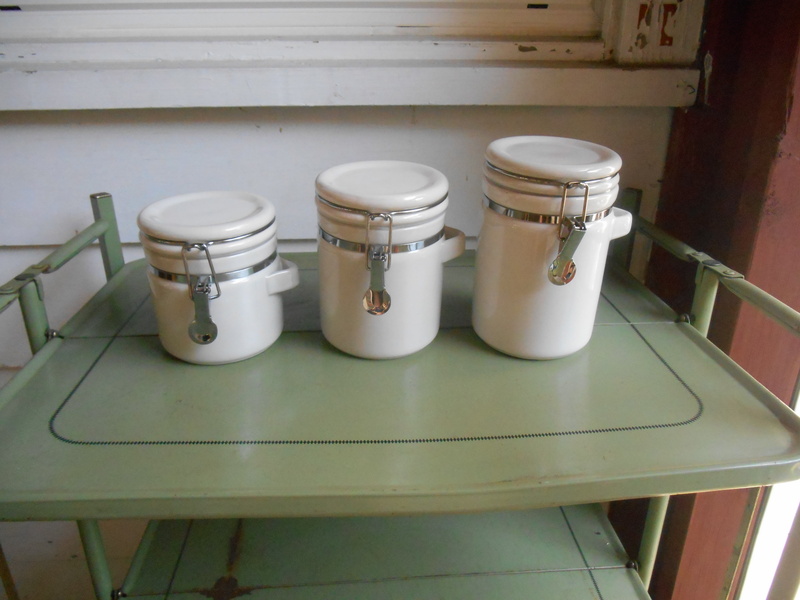 I found some more baking jars like my green ones. These were only a $1 each (my other ones were about $6 each). 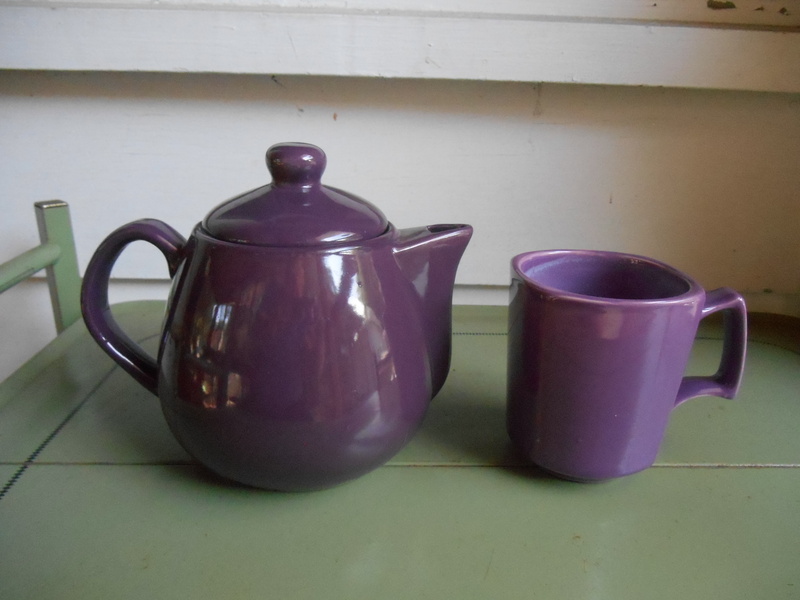 A teapot (that I didn’t know until after I bought it that I can’t actually use it on stove top) and a kind of a matching mug that came from a different thrift store. 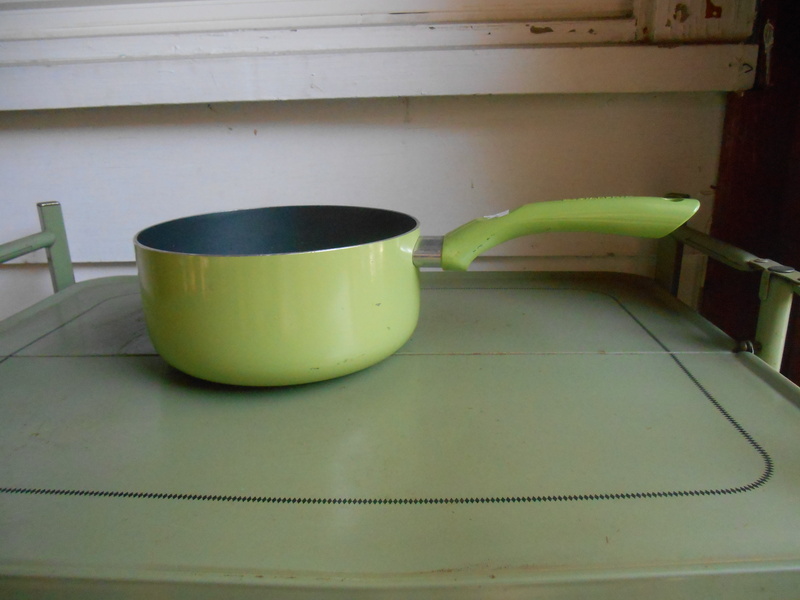 Lime green pot. Super cute. 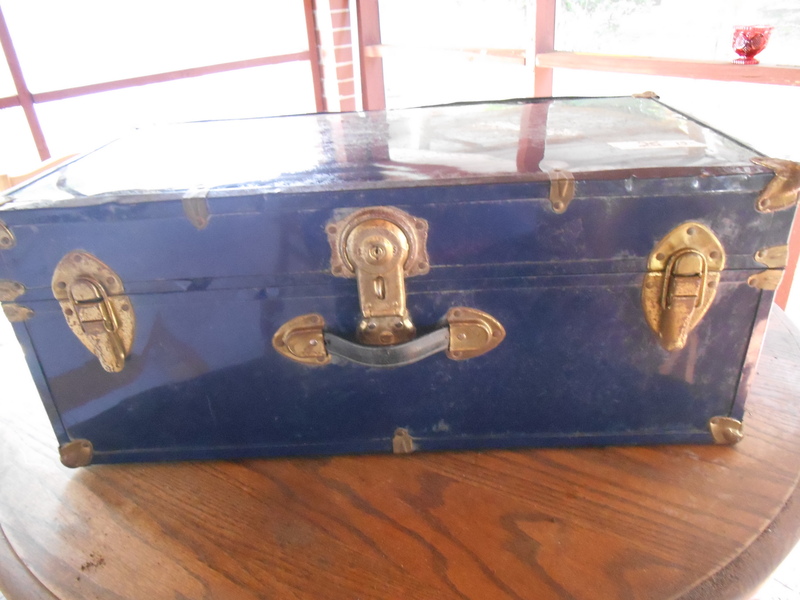 An old steamer trunk that was unlocked at the thrift store and some how got locked on the way home. I don’t have a key for it and can’t use it. Luckily though, I found a key on eBay for $5. 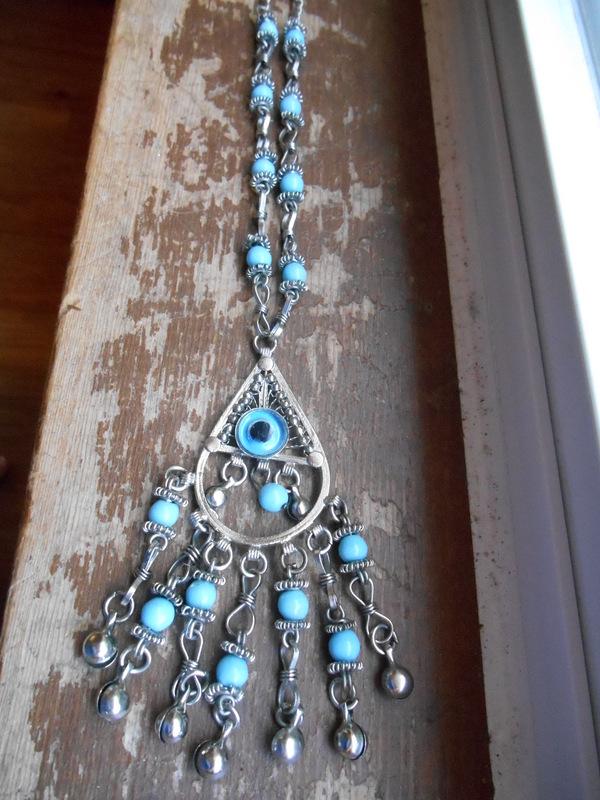 An Evil Eye necklace with a bunch of bells on the bottom. 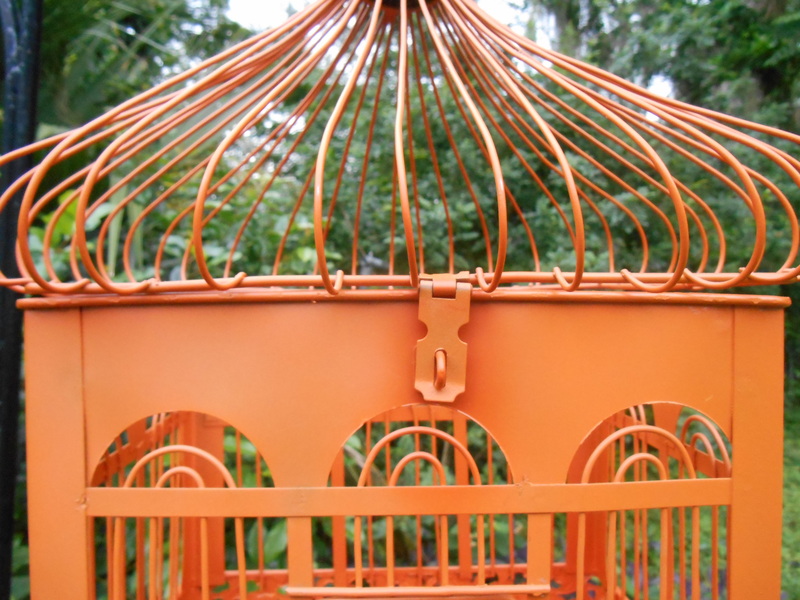 A cute orange bird cage. 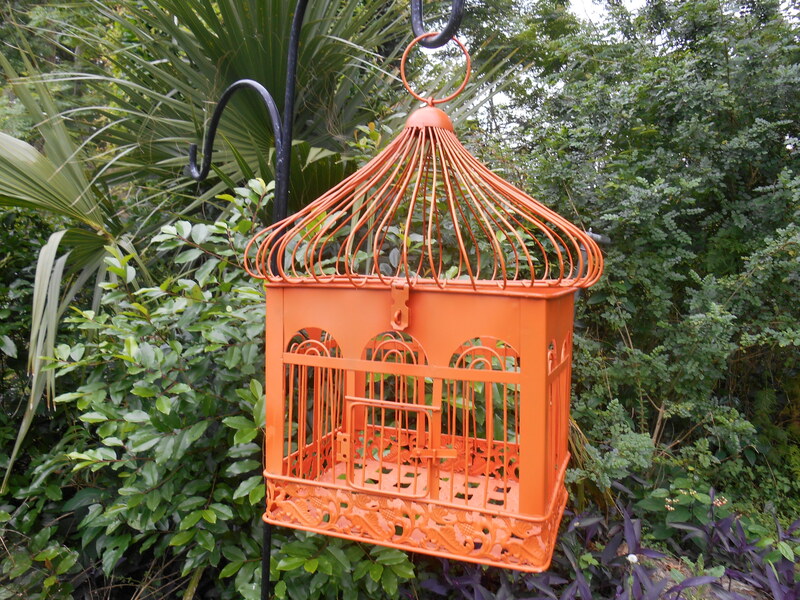 Even though it looks nice in my garden, I wanted to put it in my studio (bohemian theme). This lovely blue desk that is my reception desk.